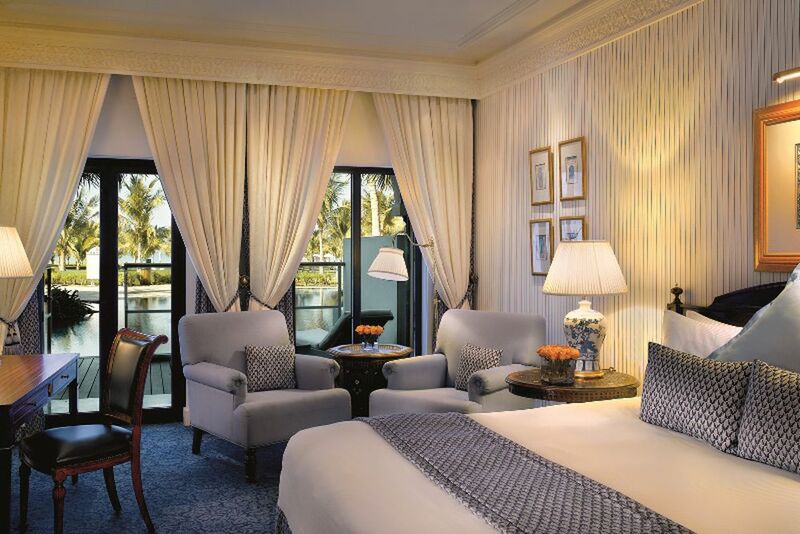 Al Bustan Palace, A Ritz-Carlton is one of the most elegant hotels in Muscat. Experience ultimate rest and relaxation here for all ages. 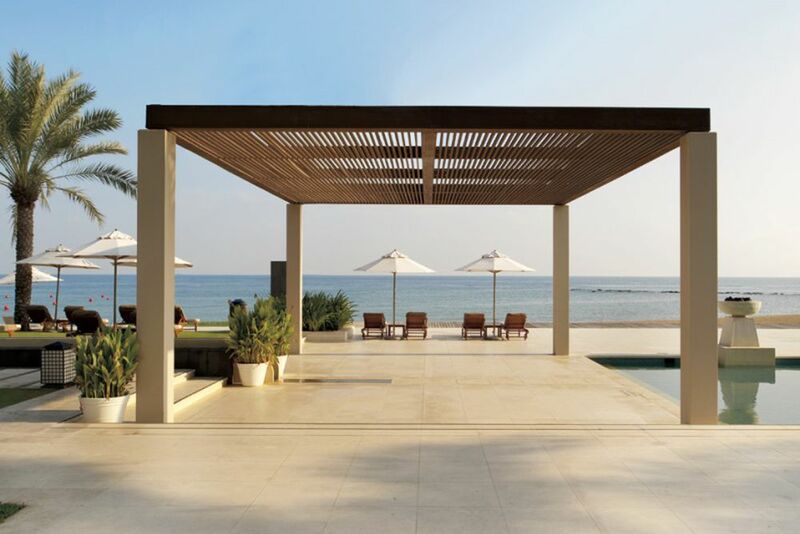 View of Al Bustan Palace, A Ritz-Carlton. Four lagoon pools and a 50-meter infinity pool await you at the 5-star luxury resort. The luxurious hotel has a private beach, which is also the longest in Oman. All rooms at the resort are elegantly furnished and boast wonderful views of the mountains, the city or the sea. A real eye-catcher is the 38-meter-high lobby: a feature of Arab splendor. Al Bustan Palace, A Ritz-Carlton will spoil you with authentic and unique delicacies. The fine sandy beach serves light meals and refreshing drinks. 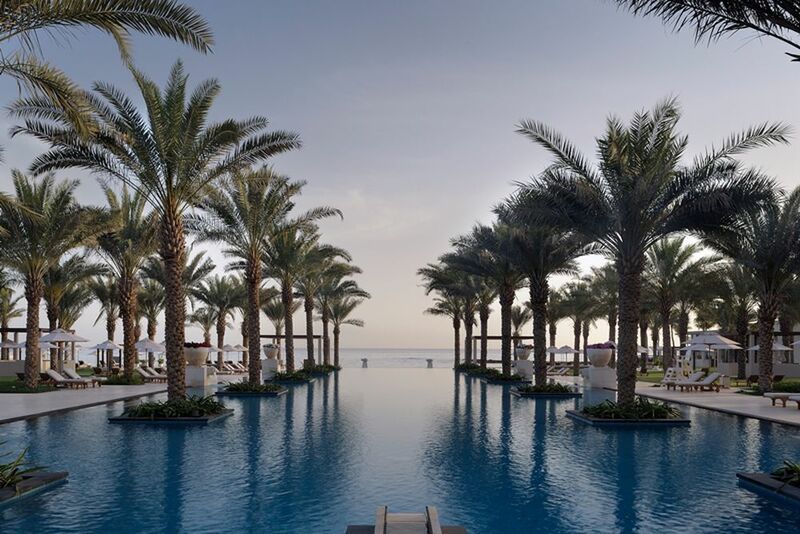 Set in an exquisite garden between the dramatic Hajar Mountains and shimmering sea lies Al Bustan Palace, A Ritz-Carlton Hotel. 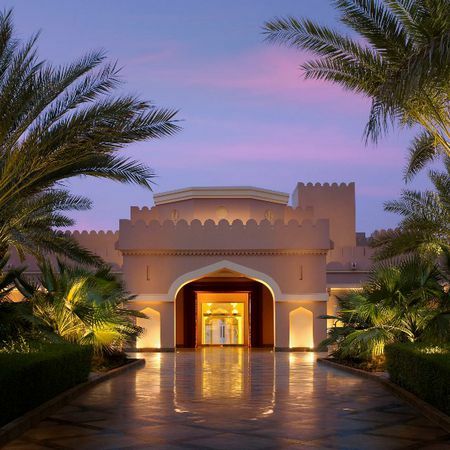 Experience one of Oman’s stateliest hotels that reflects Omani culture and traditions. 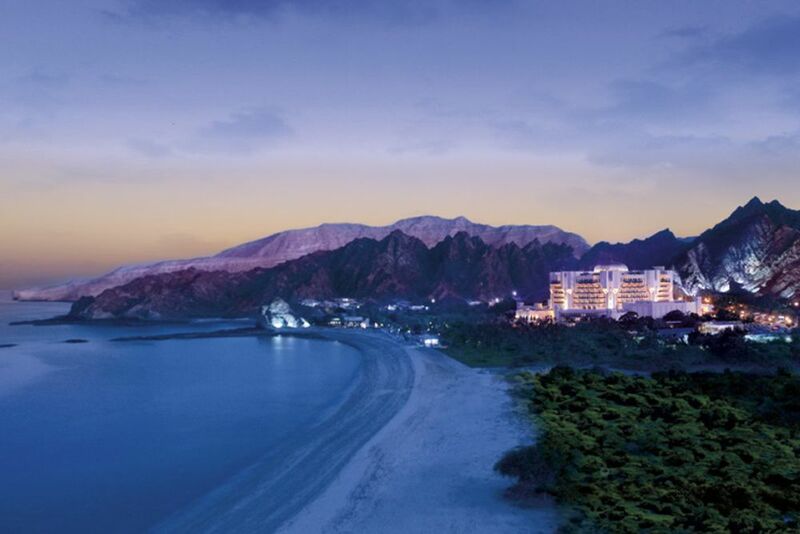 Located on the shimming Gulf of Oman is one of the most elegant resorts in Muscat: Al Bustan Palace, a Ritz-Carlton. Explore attractions in Oman that mesmerize the senses! Oman is the perfect place for sun and nature lovers. The unspoiled beaches, tropical seas, mountains, wadis, caves and deserts will enthrall guests’ adventurous spirit. Discover the 3,165-kilometer-long coastline and its sparkling clean waters where a wealth of underwater flora, marine life and diving thrills await the underwater enthusiasts. For the adventurers above water, take advantage of water sports or hike around some of the most pristine beaches in the world. The center of Muscat is only 10 minutes away and has numerous shops and bazaars to explore. Muscat Airport is 40 kilometers from Al Bustan Palace, A Ritz-Carlton. Let the luxury hotel awaken all your senses right from the outset. 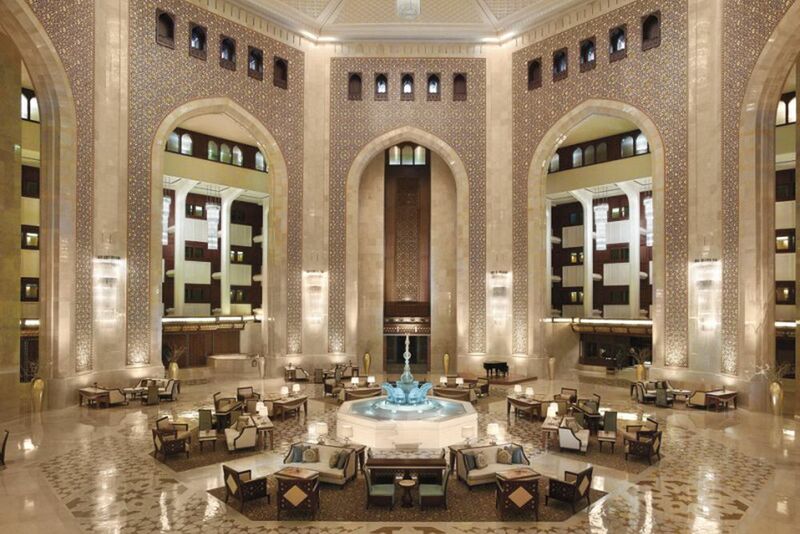 The 38-meter-high lobby has hand-carved marble claddings and a magnificent chandelier above the spectacular entrance hall of the luxurious hotel, setting a mark of the Arabian splendor. 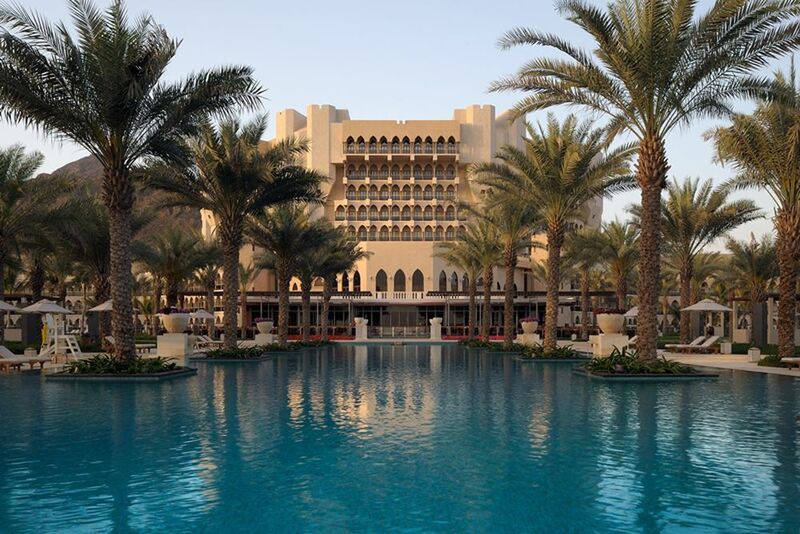 Al Bustan Palace, A Ritz-Carlton offers authentic and unique dining experiences. Spoil yourself at the three first-class restaurants and two modern bars. 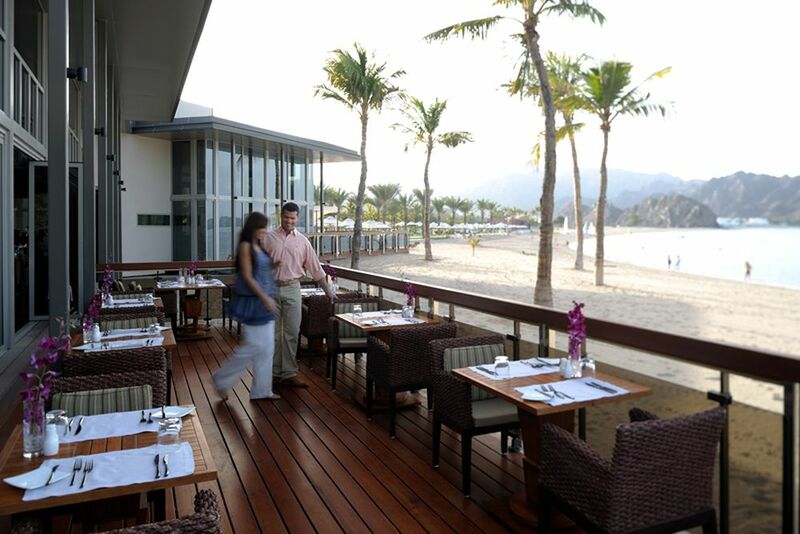 The beachfront restaurant, Beach Pavillion, is located on the coast of the Gulf of Oman and serves freshly caught fish and seafood. 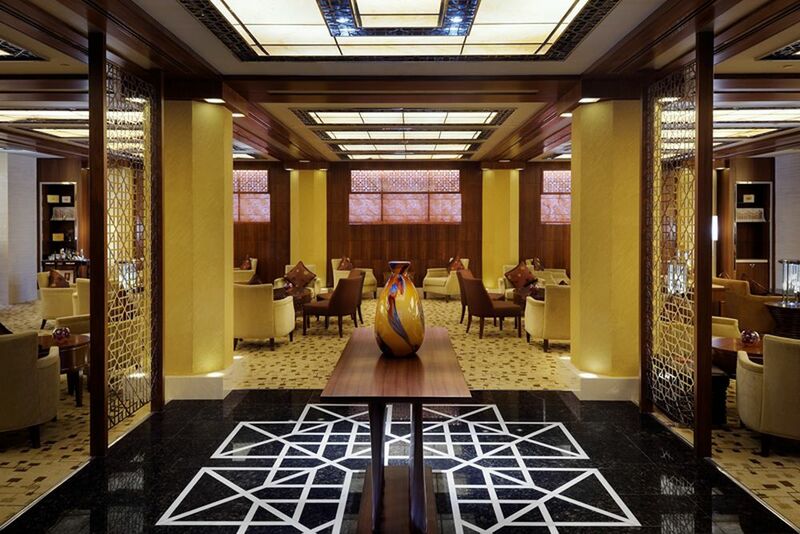 The China Mood is one of the best Asian restaurants in Oman, pampering you with delicious Chinese delights. Overlooking the Gulf of Oman is the award-winning Al Khiran Terrace Restaurant, offering an excellent breakfast buffet that prepares you for your relaxing or adventurous day. The international lunch buffet offers live cooking, and in the evening guests can enjoy a changing theme buffet. An à la carte menu is also available. The Blu Pool Bar serves light meals, snacks and cocktails so you don’t have to stop enjoying your day relaxing by the pool. Th Al Marjan Bar serves refreshing cocktails and sweet liquors. The newly designed gardens have four lagoon pools, a 50-meter infinity pool and excellent service leaving nothing to be desired. The spacious private beach promises ultimate relaxation and an escape from reality. In addition, the luxurious hotel offers a varied program for the younger guests. A children’s pool, kids club and child care center are at your disposal. Besides a 24-hour front desk and concierge desk, the resort has a beauty salon a florist. 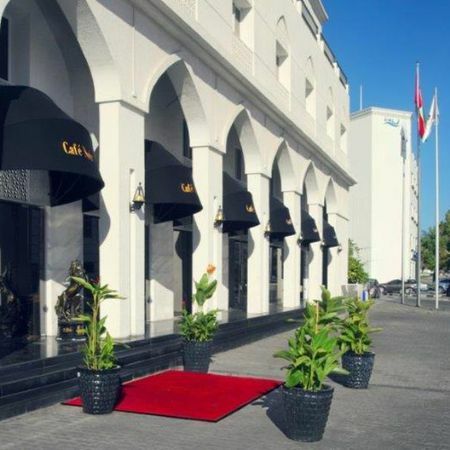 The 200 rooms and 50 suites of the luxurious hotel are spread over 8 floors and all have a balcony or terrace. All rooms are modern and elegant, equipped with a private bathroom with a bathtub, hairdryer, mini bar, refrigerator, worktop, safe, DVD player, iron/ironing board and Wi-Fi. 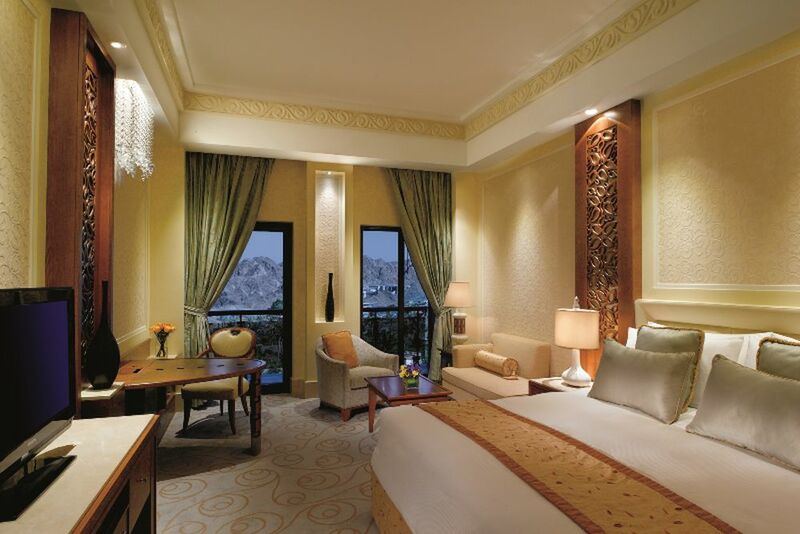 Deluxe Mountain View (40 sqm)—Boasting views of the Al Haijar Mountains, these rooms have a king-size bed or two double beds. Some even have a connecting door, perfect for families. For a maximum of 2 adults + 2 children up to 11 years or 3 adults. Deluxe Garden View (40 sqm)—Like the Deluxe Mountain View rooms, these rooms overlook the lush gardens surround the luxurious hotel. For a maximum of 2 adults + 2 children up to 11 years or 3 adults. 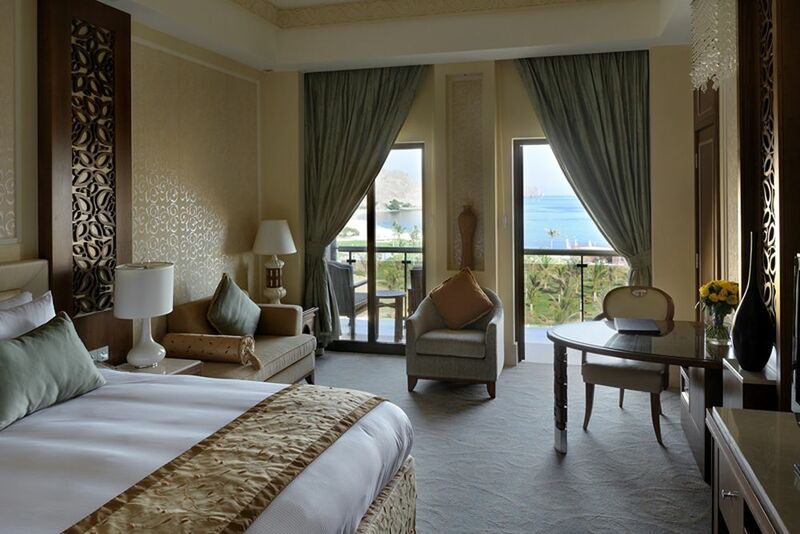 Deluxe Sea View (40 sqm)—These rooms are like the other two deluxe view rooms, but instead boast glistening views of the Gulf of Oman. For a maximum of 2 adults + 2 children up to 11 years or 3 adults. The beachfront sanctuary is an unforgettable sensory experience. Six Senses Spa is artfully built into the surrounding landscape of towering stone and rock cliffs of the Haijar Mountains and follows the natural progression of the wadi (valley). Indulge with a relaxing massage or various beauty treatments, and find harmony with your mind, body and soul! In addition, the spa features a sauna, steam room and several relaxation rooms. The professionally equipped gym offers daily exercise for guests wishing to continue sport routines even whilst on vacation! The gym has modern equipment, a variety of sport facilities and a personal trainer to satisfy these needs. There are also four tennis courts at guests’ disposal. In addition, guests can try sailing, kayaking and snorkeling for more adventurous activities. 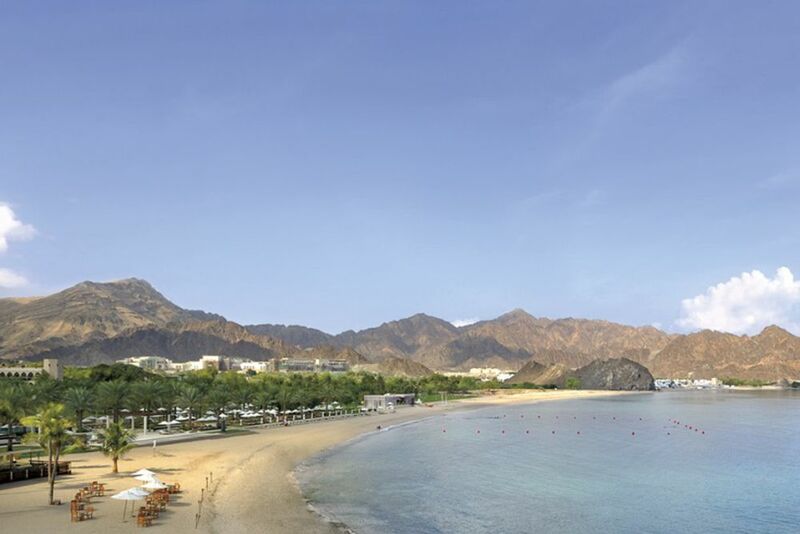 Experience the beautiful country of Oman while simultaneously living in luxury at the Ramada Muscat.